You are here: Home / Mens Health / What Are The Best Vegetables To Eat For A Healthy Prostate Health? “What can I eat to help reduce my risk of developing prostate cancer?” This is perhaps one of the most common questions many physicians hear from men who are concerned about their prostate health. It’s believed that vegetables protect against cancer because they contain a wide variety of phytochemicals, many of which increase enzyme activity to detoxify cancer-promoting compounds in the body. While more research needs to be done in the area of diet and prostate cancer, there is ample evidence to suggest that certain foods may help to reduce your risk for the disease. It’s a good idea to consult with your doctor before making changes to your diet, especially if you’re receiving treatment for prostate cancer, as certain foods may interact with different drugs and therapies. By following a healthy diet, you can help lower your risk of developing prostate cancer and improve overall prostate health. Start by adding the following vegetables to your diet. 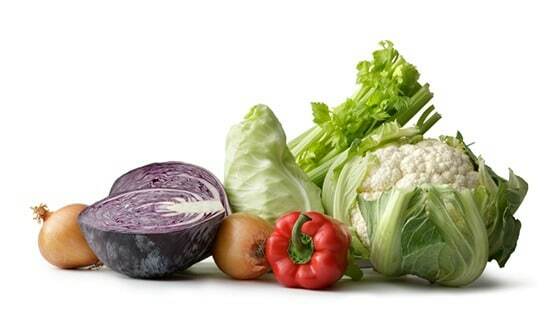 Cruciferous vegetables include broccoli, cauliflower, cabbage, and Brussels sprouts, kale, collard greens, and several other pungent and bitter vegetables. These vegetables contain phytochemicals that reduce Oxidative stress or oxygen free radicals in the body which means a lower risk of prostate cancer and its aggression. Eating these foods raw or lightly cooked—steam, sauté, or stir fry—seems to maximize the body’s ability to absorb important nutrients. Legumes, such as beans, peanuts, and lentils, contain biologically active plant compounds known as phytoestrogens. Studies have found that certain phytoestrogens, a type of biologically active plant compounds, have cancer-fighting properties that can suppress tumor growth in prostate cancer cells. The hot and spicy cayenne pepper (Capsicum annuum), also known as chili peppers, is the source of this prostate-supportive spice. Cayenne peppers get their heat from a high concentration of a substance called capsaicin. While capsaicin is widely known for its ability to reduce pain, studies have also shown that it can help kill cancer cells, including prostate cancer cells. Consuming garlic may help reduce the risk of developing several types of cancer, according to the National Cancer Institute. Studies have shown that garlic has the ability to block the formation of certain cancer-causing substances and cut in half the activation of such substances.